/ Brown, Emery M.D., Ph.D.
General anesthesia is a neurophysiological state in which a patient is rendered unconscious, insensitive to pain, amnestic, and immobile, while being maintained physiologically stable. General anesthesia has been administered in the U.S. for more than 160 years and currently, more than 100,000 people receive anesthesia daily in this country for surgery alone. Still, the mechanism by which an anesthetic drug induces general anesthesia remains a medical mystery. My laboratory is using a systems neuroscience approach to study how the state of general anesthesia is induced and maintained. To do so, we are using fMRI, EEG, neurophysiological recordings, microdialysis methods and mathematical modeling in interdisciplinary collaborations with investigators in BCS, the MIT/Harvard Division of Health Science and Technology, Massachusetts General Hospital and Boston University. The long-term goal of this research is to establish a neurophysiological definition of anesthesia, safer, site-specific anesthetic drugs and to develop better neurophysiologically-based methods for measuring depth of anesthesia. 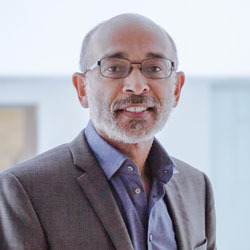 Dr. Brown served on the National Institutes of Health (NIH) BRAIN Initiative Working Group, and is currently a member of the NIH Council of Councils, the National Science Foundation Mathematics and Physical Sciences Advisory Committee, the Board of Directors of the Burroughs-Wellcome Fund, the Board of Trustees of the International Anesthesia Research Society and the Scientific Advisory Committee of CURE Epilepsy. Dr. Brown is the recipient of an NIH Director’s Pioneer Award, an NIH Director’s Transformative Research Award and the 2011 Jerome Sacks Award for Outstanding Cross Disciplinary Research from the National Institute of Statistical Science. He is a Fellow of the American Institute for Medical and Biological Engineering, the American Statistical Association, the American Association for the Advancement of Science, the IEEE and the American Academy of Arts Sciences. Dr. Brown is a member of the Institute of Medicine, the National Academy of Sciences and the National Academy of Engineering. Chemali JJ, Van Dort CJ, Brown EN, Solt K. Active Emergence from Propofol General Anesthesiais Induced by Methylphenidate. Anesthesiology, 2012; In Press. Ching S, Purdon PL, Vijayan S, Kopell N, and Brown EN. A neurophysiological-metabolic model for burst suppression. Proc Natl Acad Sci USA, 2012; In Press. Solt K, Cotton JF, Cimenser A, Wong KFK, Chemali JJ, Brown EN. Methylphenidate induces emergence from general anesthesia, Anesthesiology. 2011, Oct., 115(4) : 791-803. Brown EN, Purdon PL, Van Dort C. General anesthesia and altered states of arousal: a systems neuroscience analysis. Annual Review of Neuroscience, 2011, 34:601-628. Cimenser A, Pierce ET, Salazar Gomez AF, Walsh J, Harrell PG, Tavares-Stoeckel CL, Habeeb K, Purdon PL, Brown EN. Tracking brain states under general anesthesia by using global coherence, Proceedings of the National Academy of Sciences, 2011, 108 (21): 8832-8837. Brown EN, Lydic R, Schiff ND. General anesthesia, sleep and coma. New England Journal of Medicine, 2010, 363: 2638-2650. Ching S, Cimenser A, Purdon PL, Brown EN,Kopell NJ. Thalamocortical model for a propofol-induced alpha rhythm associated with loss of consciousness. Proceedings of the National Academy of Sciences, 2010, 107(52): 22665-70. Sarma SV, Cheng M, Williams Z, Hu R, Eskandar EE, Brown EN. Using point process models to compare neural spiking activity in the subthalamic nucleus of Parkinson’s patients and a healthy primate. IEEE Transactions on Biomedical Engineering, 2010, In Press. Purdon PL, Pierce ET, Bonmassar G, Walsh J, Harrell PG, Kwo J, Deschler D, Barlow M, Merhar RC, Lamus C, Mullaly CM, Sullivan M, Maginnis S, Skoniecki D, Higgins HA, Brown EN.. Simultaneous electroencephalography and functional magnetic resonance imaging of general anesthesia. Annals of the New York Academy of Science, 2009 Mar; 1157:61-70. Smith AC, Shah SA, Hudson AE, Purpura KP, Victor JD, Brown EN, Schiff ND. A Bayesian statistical analysis of behavioral facilitation associated with deep brain stimulation. Journal of Neuroscience Methods, 2009 Oct 15; 183(2):267-76. Prerau MJ, Smith AC, Eden UT, Kubota Y, Yanike M, Suzuki W, Graybiel AM, Brown EN. Characterizing learning by simultaneous analysis of continuous and binary measures of performance. Journal of Neurophysiology, 2009 Nov; 102(5):3060-72.